Whilst the skeleton of The Legend of Zelda’s timeline emerged earlier this week, we can now explore a far fuller picture thanks to the translation efforts of Glitterberri. The timeline begins with a single strand, before separating into three paths in relation to varying outcomes from Ocarina of Time. One such strand, where Link dies in Ocarina of Time, proved confusing, although further translation has now explained this more thoroughly. Following Link’s death, Ganon obtains the entire Triforce, after which the Seven Sages seal him, along with the Triforce, away as a last resort. 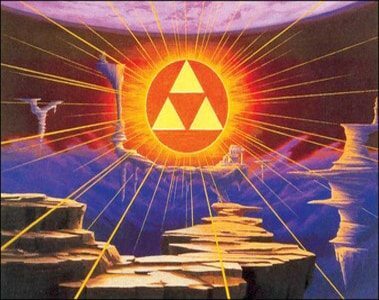 However, villains who wish to claim the Triforce for themselves make attempts to enter the Sacred Realm, which soon becomes the Dark World and is filled with evil power. The Seven Sages then try to seal away the Sacred Realm itself, but end up fighting with monsters. This is the Imprisoning War of A Link to the Past. You can view the fully translated timeline below in our Gallery, just click to enlarge.